On April 4 and 5 Cincinnati Hills Christian Academy is hosting a Food Symposium open to the community with room for up to 500 attendees. The symposium will offer two days of keynote talks, breakout sessions, cooking demonstrations, an exhibition hall, a food truck rally, and most importantly, it will raise conversations surrounding food and sustainability. To deliver one of the evening keynote talks at the event, CHCA is welcoming Joel Salatin to discuss what it means to eat food that has been grown with integrity. Salatin’s voice will not be alone. Delivering a second keynote talk is Simran Sethi, a journalist and educator focused on food, sustainability, and social change. Over thirty additional speakers will join in the conversation surrounding food and sustainability. Symposium attendees will have the opportunity to hear Suzy DeYoung from La Soupe as she talks about rescued food and solutions for food waste. Participants will glean herbalist and nutrition advice from educator and journalist Rita Heikenfeld, insights on eating seasonably from the editor of Edible Ohio Valley, Byrn Mooth, and takes on the local food movement from media personality Grace Yek. CHCA has secured Chefs Justin Dean (Madhouse Vinegar), Eric Polhamus (Branch), Jennifer Kempin (Social OTR), Stephanie Michalak (Turner Farm), and Josh Baker (Ukiyo), who will be on the campus along with business owners Steve Pipkin (Pipkin’s Market), Paul Picton (Maverick Chocolate), and Les Stoneham (Deeper Roots Coffee). 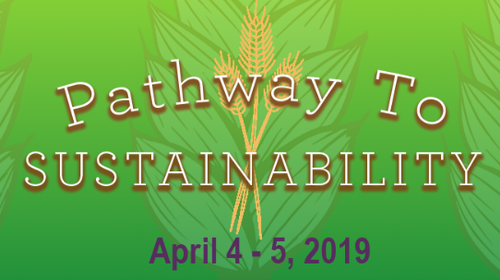 Danny Losekamp from Turner Farm will be discussing how the health of the soil is directly connected to the health of the eater, and Leslie Ratliff from Aberlin Springs will be presenting Ohio’s first agri-community with farm-to-table living. For the full list of speakers and additional information, please check out our website at https://www.chca-oh.org/foodsymposium.